This marvelous truck seems to lay beer kegs like eggs! 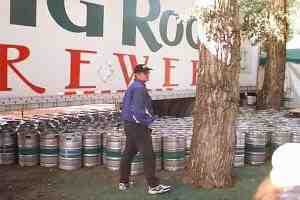 An unending supply flows towards the beer-tent and into the glasses of the thirsty thousands gathered there. Life is good! More Barley!